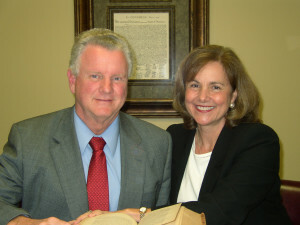 TREECE & TREECE is a HIGHLY EXPERIENCED LAW FIRM in all areas of family law. We have expertly resolved or litigated thousands of Family Law Cases for clients with legal problems very similar to yours for 40 years. We understand that Divorce is one of the most devastating, challenging experiences in your life where your dreams have been shattered and you must face major changes in uncharted territory. We invite you to sit down with us, speak confidentially and candidly about your legal concerns and work “hand-in-hand” with our firm to resolve your family law issues. Your legal team at TREECE & TREECE will answer your questions, explain your legal rights and develop a strategy to bring about a positive, constructive solution to your DIVORCE EXPERIENCE, your CHILD CUSTODY DETERMINATION and your FINANCIAL EXPOSURE. We not only bring to the table knowledge and years of experience to address the personal and legal PERSPECTIVES of each spouse in conflict and litigation with the other, we offer proven STRATEGIES for settlement negotiations, mediation, or litigation developed over many years in the trenches fighting for our clients. In keeping with our Mission Statement at TREECE & TREECE, we strive to protect your legal rights, minimize the emotional trauma and destructive effects of your divorce and establish a constructive avenue by which you and your family can achieve a positive, stable, emotional and financial condition through amicable negotiations. But, make no mistake, we will provide aggressive representation when necessary for you. Our Mission Statement at TREECE & TREECE is to maximize the legal entitlements and protect the rights of each client while minimizing the emotional trauma and destructive effects of the breakdown of the family unit. It is our professional, as well as, our personal goal that our families emerge from the devastating experience of divorce into a stable, healthy financial and emotional condition. We are determined to establish a constructive avenue by which our clients can identity and pursue their personal, family, and life goals. protect your legal rights, minimize the emotional trauma and destructive effects of your divorce and establish a constructive avenue by which you and your family can achieve a positive, stable emotional and financial condition. We work to accomplish these results through amicable negotiations, but, make no mistake, we will provide an aggressive representation when necessary to protect your rights. When you are seeking to resolve a Family Law Matter, your legal team at TREECE & TREECE will answer your questions, explain your legal rights and develop a strategy to bring about a positive constructive solution to your Divorce Experience, your Child Custody Determination, and your Financial Exposure. Come visit your Divorce Attorneys in Jacksonville to resolve your Family Law matters today!